Explore the most popular trails in Rifle Gap State Park with hand-curated trail maps and driving directions as well as detailed reviews and photos from hikers, campers and nature lovers like you. 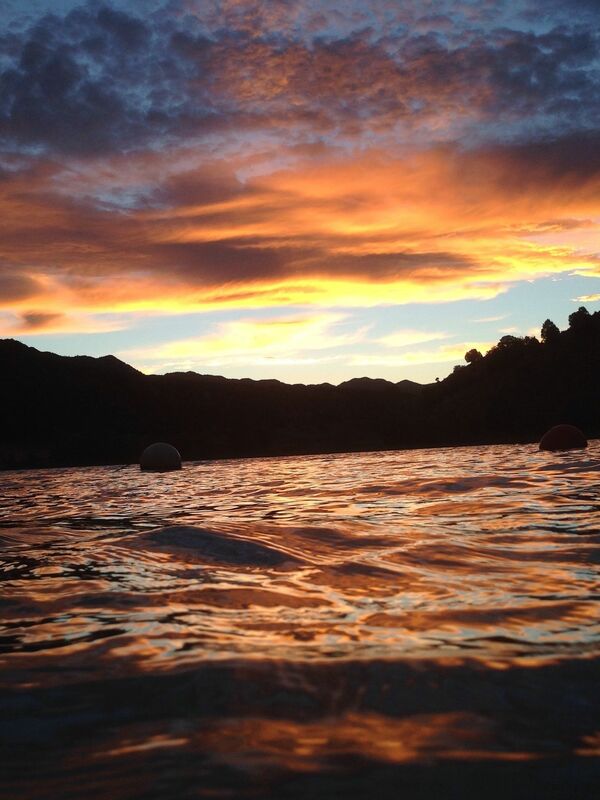 The clean, clear waters of Rifle Gap State Parks 350-acre reservoir provide some of the best boating, fishing, swimming, water-skiing and windsurfing in Colorado. The long, narrow reservoir is inviting to water-skiers, jet-skiers and power boaters. Rifle Gap often has good conditions for sailing and windsurfing. The beach on the west side of the reservoir is popular for its swimming Rifle Gap anglers catch rainbow and German brown trout, walleye, pike, smallmouth and largemouth bass and yellow perch. Camping in the parks 89 sites and picnicking are also popular. In the winter, anglers bundle up for ice fishing. Check Rifle Gaps current boating, fishing and other conditions. Well this is a beautiful lake in the middle of the mountains. But on vacation with the kids we figured after several hikes in the area we’d cool off in the beach area. The kids had a marvelous time with their mud bath but I was hoping for a sandy walk in or even a gravel walk in but it was MUD that went to your knees. I love getting muddy with the kids any other Midwest lake adventure but there is no place to clean the mud off so we walked to the boat ramp and did the best we could for the drive down the pass. Not a reservoir I’m likely to visit again. Best in the spring. Not much hiking, but there are some trails within a short drive. lots to see and do good family trip! Beautiful view! I swam in the swim beach! The gap is good for fishing or camping in a camper. If you go further to rifle falls the camping ig really good,fills up quick. It has some trails with great views but not hard at all. The one will take you to the top of the 3 falls and theirs caves ect. that you can explore. not a big campground but nice. Theirs also another campground down the road just pass the fish hatchery(fun,great for kids) its a first come first serve. But its a beautiful place much more to choose from and theres the ice cave and really good rock climbing. The kids love it here.